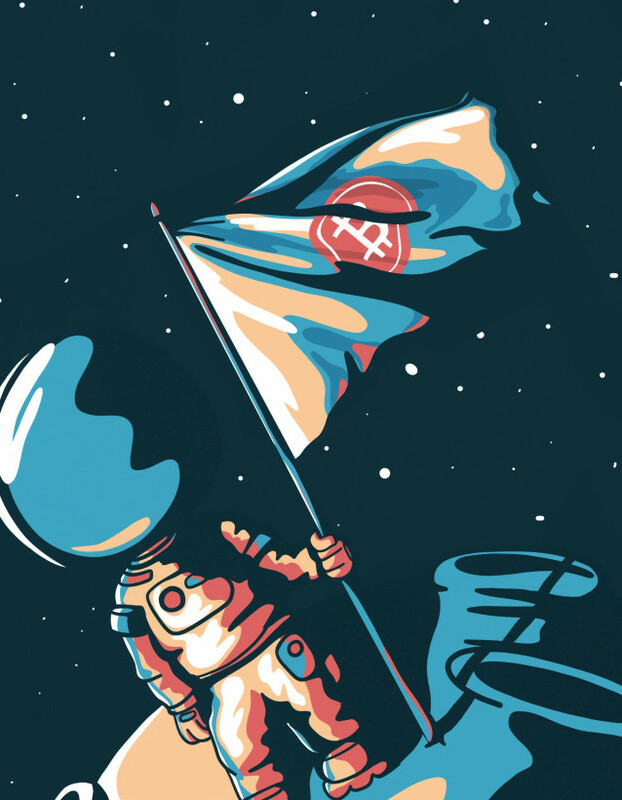 Art and cryptocurrency really share a certain bond: their value is just agreed upon – albeit subjectively. Long ago, society decided gold was worth something, mostly because it is pretty and kind of hard to get. It’s only taken about a decade for us to agree that Bitcoin is, at least, worth something. We’ve had even less time to decide what constitutes blockchain art. By the time you’ve finished reading this, though, you’ll at least have an understanding of where we’re at. 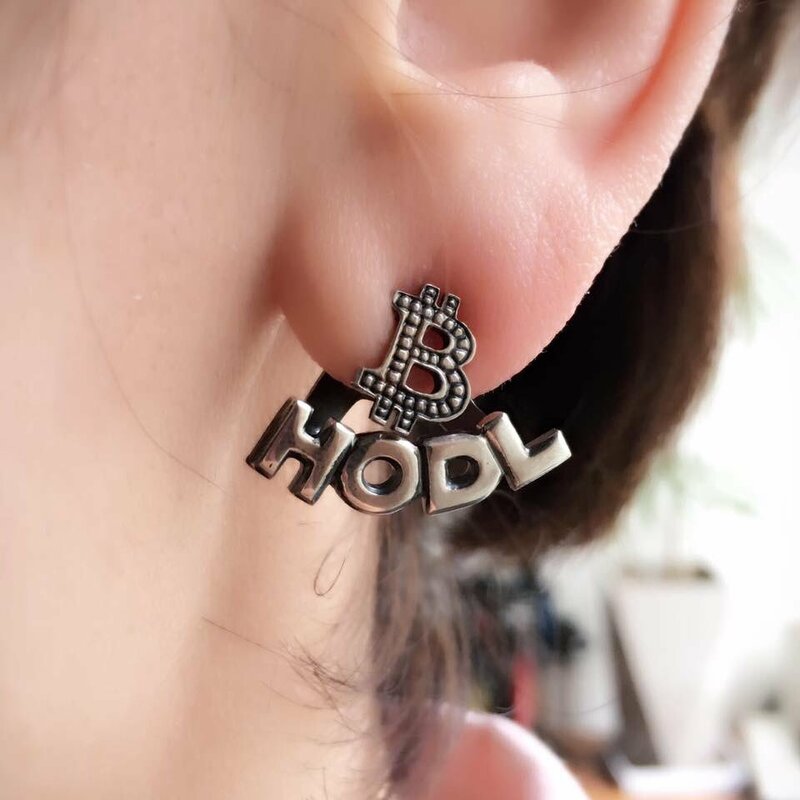 Jewellery making is surely an ancient art form, and one that, for better or worse, was the very first to establish itself in the Bitcoin community. Those looking to make some powerful statements are definitely accommodated for in 2018. 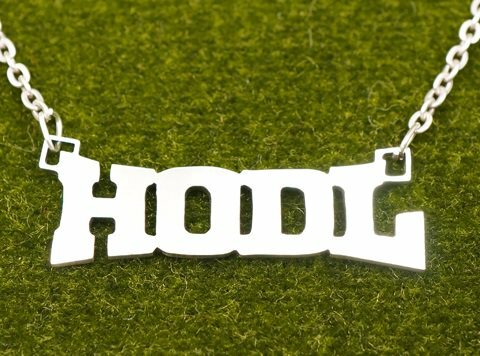 The BTC Jewellery, from Japan, is offering up a massive selection of cryptocurrency jewellery – some bold, some more subdued. 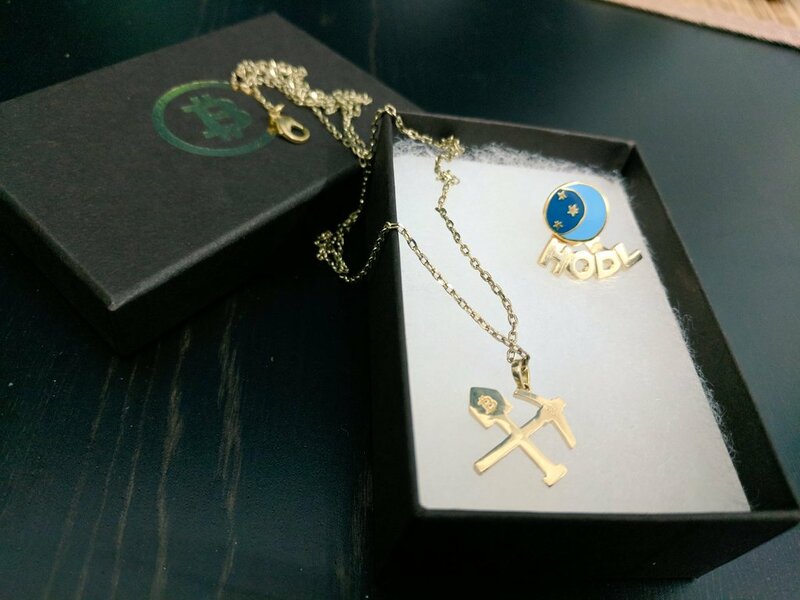 What better way to show your dedication to blockchain-ifying society than by rocking custom-made rings, pendants, earrings or cufflinks that pay homage to the internet of money. 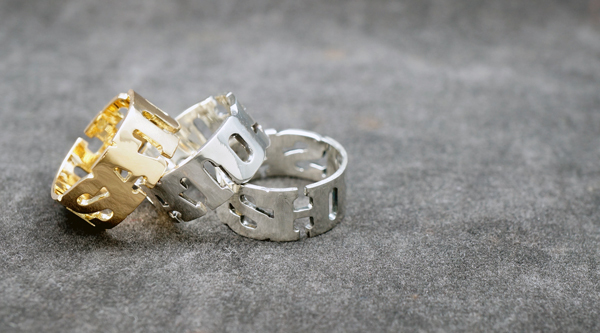 The pendants even come in a range of sizes to match your stack. 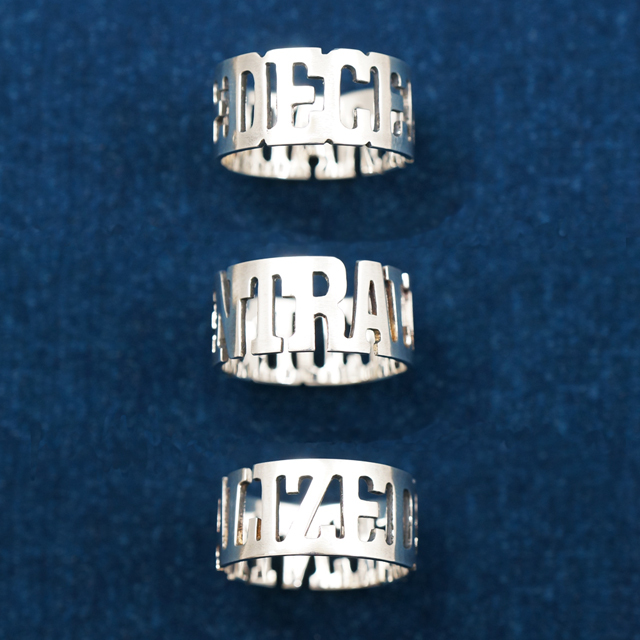 One ring, that reads DECENTRALIZED, is strictly for the ballers. 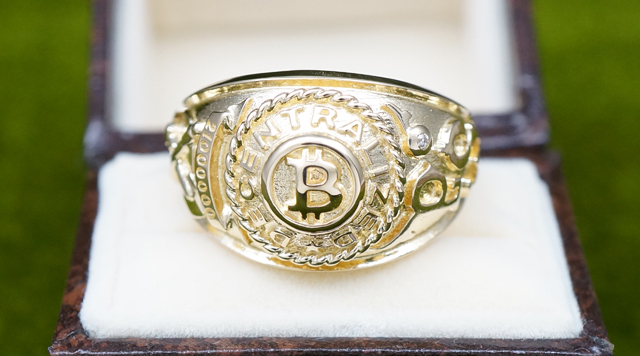 Another ring simply says: SATOSHI. 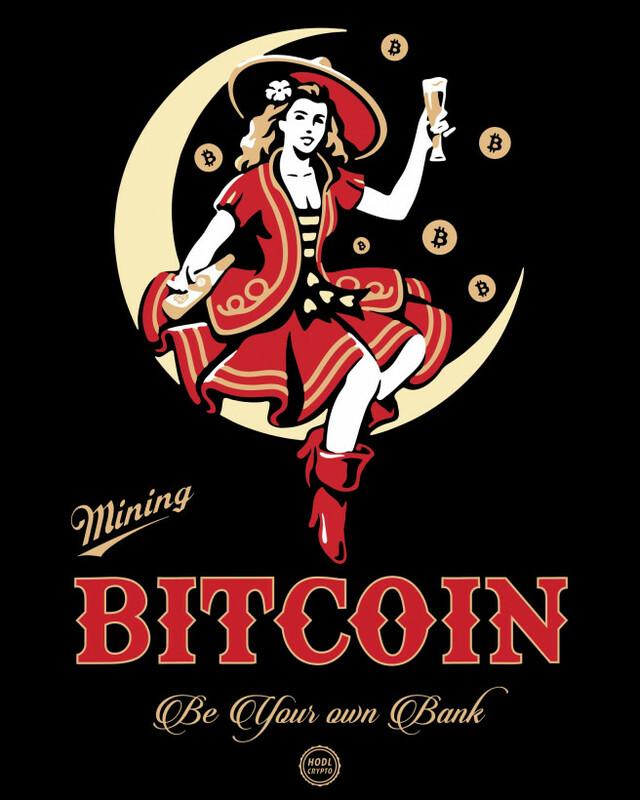 It’s not only jewellery makers using Bitcoin as a muse. 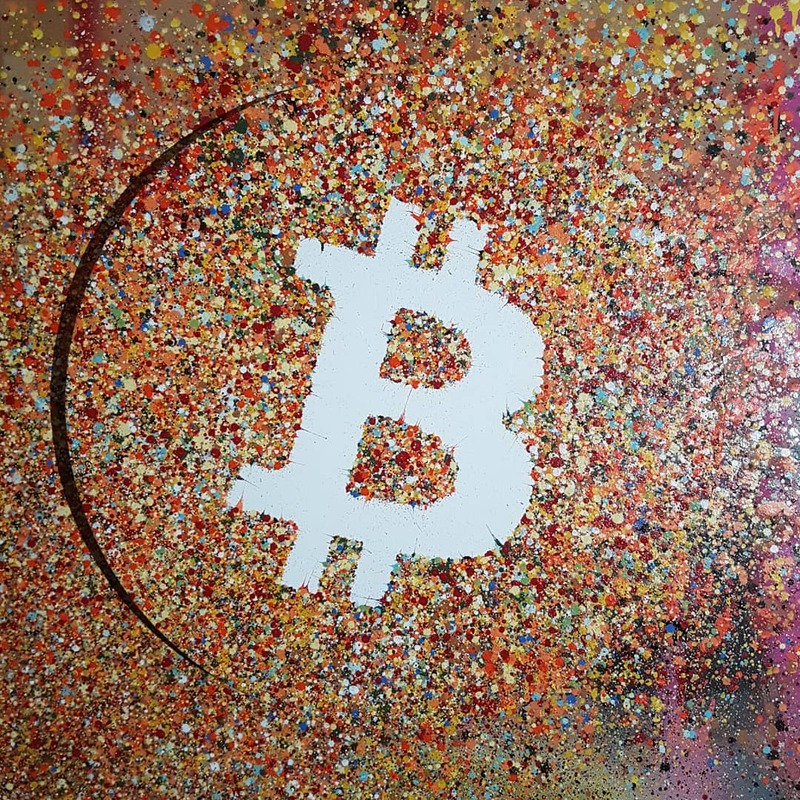 Thankfully, the rebellious nature of cryptocurrency pairs well with street art, too. 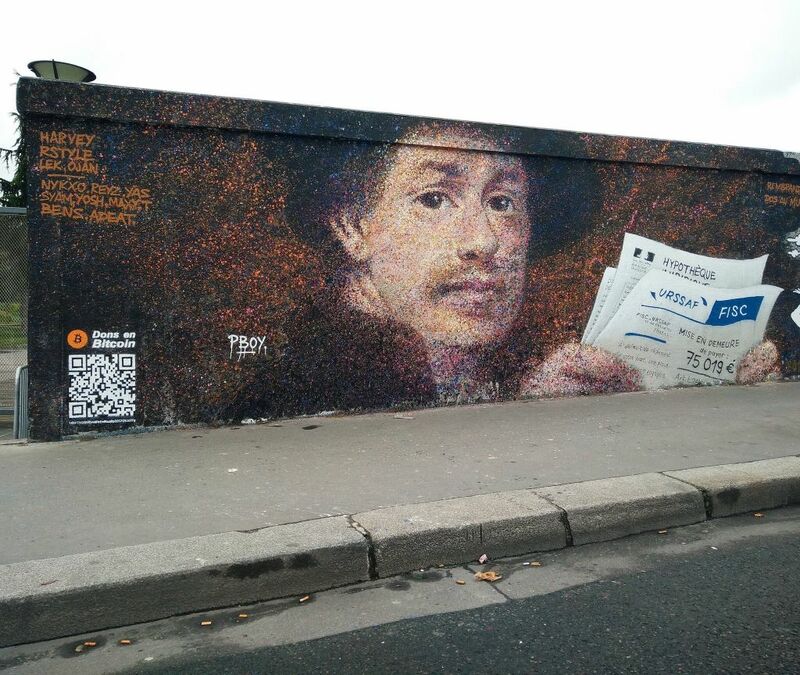 Graffiti murals are popping up around the globe, giving a certain texture to the digital money revolution. 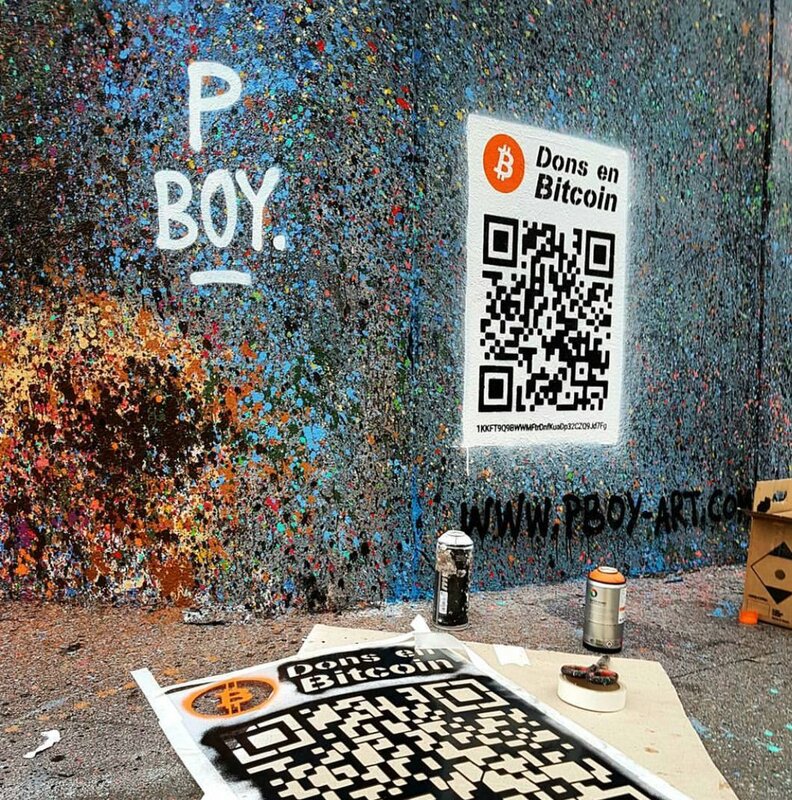 Hard Fork recently spoke with French artist Pascal ‘PBOY’ Boyart, who has been adding QR codes to his street murals that allow admirers to show appreciation directly by sending Bitcoin. By the time we spoke to PBOY, over $1,000 in donations had been received. This highlights just how effective blockchains can be at guerilla fundraising. Miniatures are also getting their time in the spotlight. 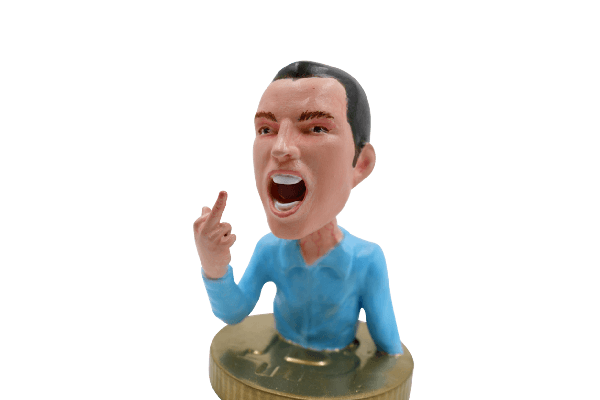 We’ve all seen those dorky physical coins of the major cryptocurrencies – but they don’t really have the allure of a bobblehead of Vitalik Buterin riding a blue unicorn-thing. 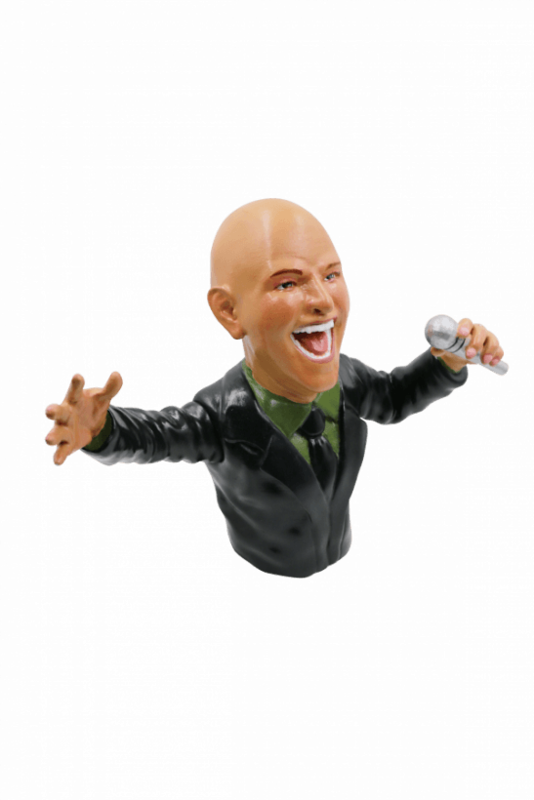 Cryptocurrency novelty store moonstüff is behind the collectables, with infamous BitConnect hype-man Carlos Matos and Bitcoin Cash evangelist Roger Ver making up the rest of the set. Ready for something a bit more adventurous? Kevin Abosch is one conceptual artist pushing the boundaries of crypto-art. His work, if I must describe it, is equally confusing and intimidating. Famous for selling a photograph of a potato for a million Euros (approx. $1.15 million), Abosch is now becoming one with the blockchain. 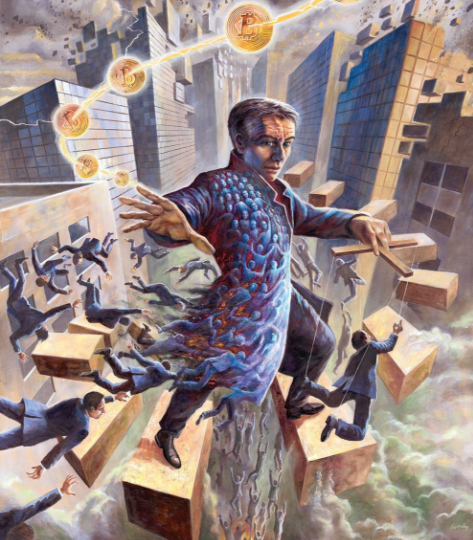 IAMACoin is his latest project – a set of ten million tokens, each one of them acting as their own, standalone work of art. To which I say, sure, why not, a token derived from a blockchain is a piece of art. If you get enough people interested in your work, each token becomes valuable and could even be traded for art more tangible. But here’s the hook: the artist stamps a contract address with his own blood on a fancy piece of paper – 100 of these have been created. We come into the world like newly minted coins — perfect and priceless. Yet we are constantly being ascribed a value. The most unfortunate are deemed “worthless” by those who exploit human currency. At times life may seem reduced to the transactional. I often have difficulty discerning where I end and the person before me begins, while photographing my various subjects. A sense of oneness staves off the call to market. If I could only bleed for the blockchain, its ledger, for all to see, would reveal that I am a coin. This project consists of an edition of 100 physical works whose meaningful existence is predicated by the existence of the virtual works. Through my blood, a blockchain contract-address and ten million divisible crypto-tokens, the very nature of value shall be redefined. Another Abosch piece perfectly combines everything you don’t understand about computers with all that goes over your head when appreciating art. Not everything is so pretentious, I promise. Hungarian illustrator Zsolt Vidak has produced a colorful piece that I’d totally dig for the new shag-pad. Also, if you squint and turn your head a bit, it totally looks like Elon Musk, right? 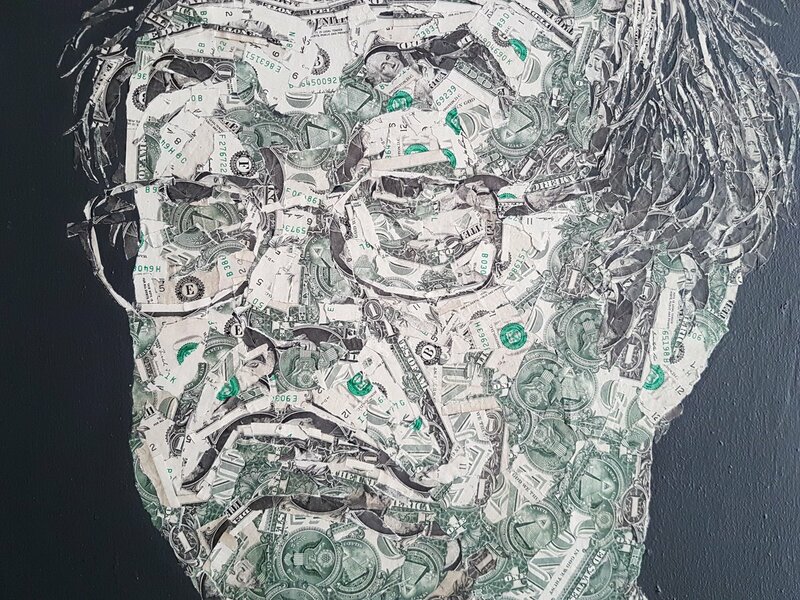 Art comes in all forms, just like cryptocurrencies. Some are surely worthless – others, might be valuable one day. In the end, all that really matters is that enough people think it’s worth something, right?